Because of the date, I wasn't sure whether this article on the BBC website yesterday about National Savings and Investments scrapping their Welsh language service was meant to be a joke or not and, to be honest, I'm still not entirely sure. So, at the risk of making a fool of myself, I'll treat it seriously. Apparently, NS&I are proposing to end all Welsh language services on 22 April this year. The reason they give is that they are "not a cost effective use of public funds", saying that only 107 people corresponded with them in Welsh and that this worked out at about £900 per customer. The first thing to note is that this is a minuscule amount in relation to the sums of money they handle. It works out at £96,300. This is less than a millionth of the £98bn of savings that they manage on behalf the Treasury, a total that represents 16% of the entire UK national debt (details here). The second thing to note is that they are legally obliged to provide a service in Welsh, in accordance with the Welsh Language Scheme they agreed with the Welsh Language Board in 2007. It is quite inconceivable that a public body should renege on an agreement they freely entered into, for there is nothing in the agreement that makes the provision of this service dependent on the number of people using it. It's a red herring. But, that said, the whole problem with Welsh Language Schemes was that there was no way that they could ever be enforced. All the Welsh Language Board could do was conduct an investigation and "name and shame" any organization that broke the terms of their agreement. This was the main reason why the new Welsh Language Measure gives the Commissioner power to take the matter to a tribunal and impose a financial penalty on organizations that fail to comply with the new Language Standards. However, because we do not as yet have any Language Standards, there is nothing to enforce. Until then, the Commissioner keeps the residual power of the WLB to investigate breaches of existing WLSs, and it is all but certain that Meri Huws will produce a suitably damning—but entirely deserved—report in due course. However that won't, in itself, change anything in the short term. The only real hope of getting NS&I to reverse the decision before it is implemented is by public and political pressure. I trust that the right people will step up to the plate to bring them into line. In the longer term, everything will depend on the Language Standards that are eventually approved. So I hope that this episode will convince both Leighton Andrews and the Welsh Government that these will need to be strong and strictly enforced. With that in mind I'd like to look at the specifics of this case, because I think it will shed some light on what needs to be done. 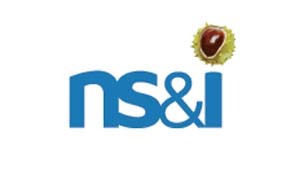 Although NS&I is an agency of the Treasury, its day-to-day operations have been contracted out to private organizations. The service was previously run by Siemens IT Solutions and Services, but they were bought out in 2011 by a French multinational operating under the name of Atos IT Solutions and Services. Atos, for those who don't recognize the name, is the very same multinational that is responsible for managing Work Capability Assessment on behalf of the Department of Work and Pensions, and will implement the new Personal Independence Payment that is set to replace the Disability Living Allowance. In short, they are the organization charged with implementing, and given incentives to implement, some of the most draconian aspects of the ConDem coalition's programme of cutting back expenditure on services to the public. With such a remit, it shouldn't come as too much of a surprise that they would look to look to penny-pinch a sum that represents less than a millionth of the money they manage for NS&I. A second factor is that NS&I has radically changed the way it operates. Shortly after Atos took over the contract, they announced that products would only be available by telephone or online. Premium Bonds are now the only things available over the counter at Post Offices. This decision was obviously taken to save money, and that is not necessarily a bad thing ... except that it is a contributory factor in the viability of Post Offices and is bound to lead to more of them closing. But it does go a long way to explain why so few people deal with NS&I in Welsh. NS&I simply doesn't provide either a telephone or online banking service in Welsh. Some basic, very limited, information about their services is available in Welsh, but you cannot register for or access these services in Welsh. It can only be done in English. This is, of course, the main reason why so few people use the Welsh language service. If you telephone their English line, you can talk about and get specific answers about your accounts. The only way you can get any specific information about your accounts in Welsh is by post. The choice is either to spend time, effort and money to get an answer in Welsh several days later, or to get an instant answer via a freephone number in English. You can't even get specific information about your accounts by email. The reasons they give for this are tired and predictable, but still laughable. They say it is "er mwyn eich diogelwch" or "for your security". But do they seriously believe that a breach of security is more likely by someone, somewhere in the world, hacking a phone conversation or online communication in Welsh than it is in English? There must be more Welsh speakers in the world than I thought. There is silver lining to this. It shows in the clearest terms what silly excuses and underhand practices even an agency of government will resort to in an attempt to avoid its duty of providing an equal service to the public in both English and Welsh. We can, and need to, learn from this. The underlying rule in formulating the new Language Standards must be that whatever service is provided in English must also be provided in Welsh. An equal telephone banking service. An equal online banking service. Equally available information and publicity. Anything less would be a joke. If they prepared the electronic services also in Welsh then the cost per customer would come down significantly. I would suspect though that they have a large task to internationlize and then then localise their English monolingual software into Welsh and that they're trying to get away from this mamoth task. But this is indicitive of a defective software development and procurement process since internationalisation is easier to plan and implement at the beginning . Localisation comes naturally and quite easily. Smaller countries have managed it. Finland's post service is available trilingually : http://www.posti.fi . All banks have at least bilingual websites. Makes the whole situation for Welsh by the British establishment laughable and ridiculous. Well said, Syniadau. I would like to see a positive legal duty on bodies to encourage the take up of Welsh option. Nudge techniques, default Welsh/bilingual and better design could all be employed by the bodies coming under the Standards and, oh, you'd have to have a Welsh service of equal quality, of course. Just been on the Narberth Museum website (www.narberthmuseum.co.uk/)following reports in today's Guardian that it is on the shortlist for the Arts Fund Prize and, hey, whaddayaknow? A lovely full-service English website but when you click the Welsh option, a message saying that it is not ready. This from a body (in a village with about a third Welsh speakers) which, to judge by the logo at the bottom of the page, happily takes Welsh govt. money. Gwelwyirw - thanks for the link to Finnish post. Reminds me of my time living in Finland, shopping for Weetabix, Heinz Baked Beans etc, all beautifully wrapped bilingually in Finnish and Swedish (all packaging effortlessly printed in England). A couple of weeks ago, I flew to the Basque Country with Veuling and their website appears to offer a full service in ten languages, including Galician, Basque and Catalan: www.vueling.com. Not difficult if you really want to, is it? Meanwhile, First Great Western at Paddington (gateway station to southern Wales) has ticket machines which work in Polish, French, German etc. etc. but not Welsh. You really couldn't make it up. Multi-storey car park in Casnewydd. Language options for English, Welsh, French and German. Nice. But wait: when you press 3 of the 4 languages you get info in English, français or Deutsch, but hit "Welsh", and everything is tidy English, like. Not a word of Cymraeg, even though they pretend they have it. As anybody made a complaint about this? This has now come to court and NS&I have been ordered to restore the Welsh language services forthwith. The judgement can be found online and makes interesting reading for anyone who's into legal argument. "At a time when the Commissioner was attempting to perform her statutory functions, and trying to engage with NS&I, the responses she received from senior executives within NS&I were brusque, inappropriate, discourteous and disrespectful of the Commissioner’s office and her functions. It is in our view disappointing – others might use stronger terms – that, in exercising its statutory functions, one statutory body would treat another statutory body, attempting to exercise its own statutory functions, thus." "Ar adeg pryd yr oedd y Comisiynydd yn ceisio cyflawni ei swyddogaethau statudol, ac yn ceisio gweithio gyda CBC, roedd yr ymatebion a gafodd oddi wrth uwch swyddogion o fewn CBC yn swta, yn amhriodol, yn anghwrtais ac yn amharchus tuag at swydd y Comisiynydd a’i swyddogaethau. Y mae, yn ein barn ni, yn siomedig – gallai eraill ddefnyddio termau cryfach – y byddai un corff statudol, wrth arfer ei swyddogaethau statudol, yn trin corff statudol arall, oedd yn ceisio arfer ei swyddogaethau statudol yntau, yn y fath fodd." It's just this sort of continual official obstruction which eventually caused the Irish Language Commissioner to resign last year after years of constant frustration.